XSD wheel sand washing machine is a washing equipment developed according to a domestic processing situation in sand industrial by our company and take advantage of foreign advanced technology. 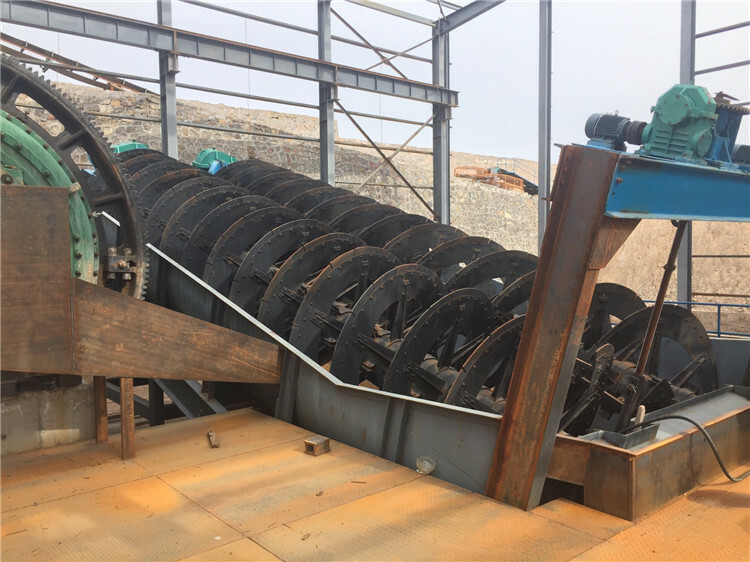 LZZG XSD Wheel Sand Washing Machine is cleaning separation of the powder in the gravel soil, It can wash stone power and residual away from the mixed sands produced by sand making machine, which can improve the sand quality mostly. 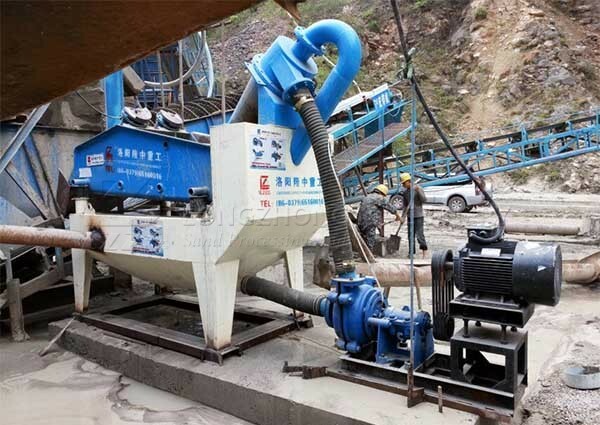 Application:LZZG XSD Wheel Sand Washing Machine is applied for a construction site, hydroelectric station dam, glass manufacturing, gravel pits, mining, building materials, transportation, chemical industry, water conservancy and hydropower, concrete mixing stations and other industries. The electric motor runs slowly with the impeller after decelerated by the belt, decelerator and gears wheel. 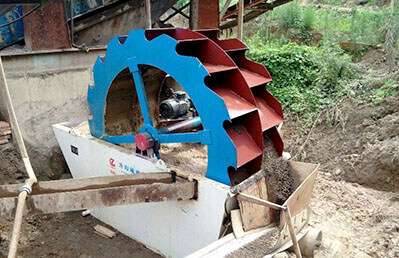 The sand and stone flow into washing launder from feeding launder, rolling with the impeller, and grinding with each other. The impurity covering (on) the sand is washing away. 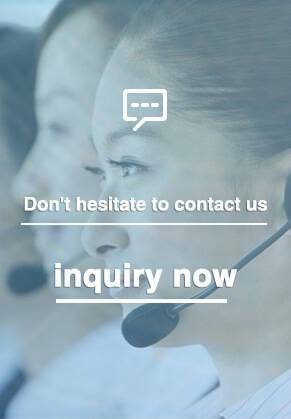 Adding more water at the same time, the strong water flow will take away waste and some low-weight wastes from washing launder. The above is the whole washing process. The clean sand and stone is lift up by vane. When it goes up slowly, the water begins to drop through the mesh and fall back into the washing launder. On one hand, water is removed from the sand and stone; on the other hand, the water can be fully used. 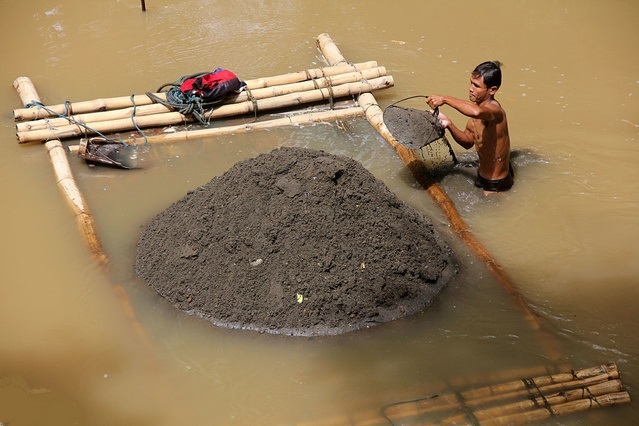 Finally, the sand and stone goes to the out launder from the rotary impeller to finish the washing task. 1. Reasonable structure.The impeller drive bearing is isolated from water and materials buried in washer,which greatly avoid the bearing damaged because of soaking in water,sand and other pollutants. 2. Compared with the spiral sand washing machine, the loss of medium and fine sand and powder is minimized, and the grade and fineness can meet the required standard. 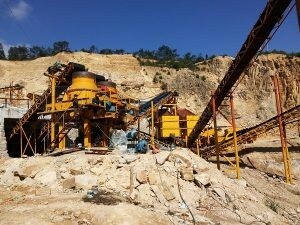 How does a sand washing machine work?